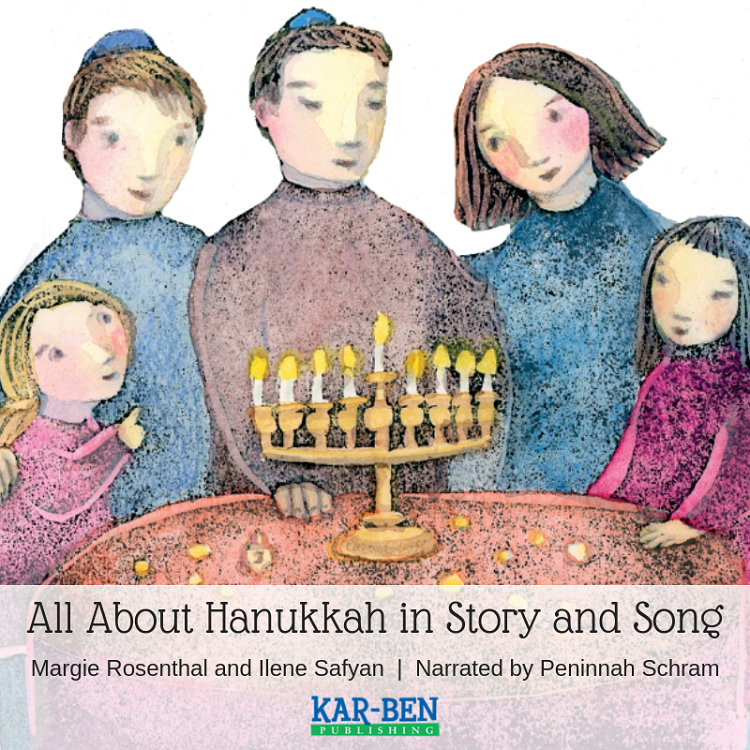 This beautiful recording features the Hanukkah story with candle blessings and 10 favorite songs. Words to all songs are included. Conveniently available as MP3 file download. A young people's chorus performs traditional melodies like Selichot and Avinu Malkenu, plus four original songs. The dozen festive songs are a great way for children to connect to the joy and meaning of the High Holidays. Downloadable PDF includes lyrics to songs. NOTE: You will receive a link for downloading the audio tracks on your invoice, which is emailed after check out is completed and payment is made. If you do not receive an email with link for download, please call Kar-Ben Customer Service at 1-800-4KARBEN (1-800-452-7236). If you’ve purchased MP3 downloads directly from www.karben.com, here are some simple instructions for downloading your new audio tracks. After your purchase has been confirmed, you will receive a receipt. This receipt contains your order information and link for you to download your purchased MP3s. If you did not receive a receipt, please check your Spam/Junk Mail filters or contact us at 1-800-452-7236 or custserv@karben.com. After locating the download link in your receipt, click on the link to open a .zip file that contains your MP3 tracks. Once the download is complete, you’ll need to find the files that you’ve just downloaded. In Windows, most browsers will save files to the “downloads” folder, which you can find inside “my documents.” For Mac, the default destination is the desktop. You’ll need to extract or “unzip” the files before you can play, burn, or import them into your media player. The unzipping process will vary depending on what software you use to handle .zip files and what operating system you’re using. In most cases, simply double-clicking the .zip file will begin extracting the contents. In some cases you’ll be prompted to select a destination for the unzipped folder (choose a location on your computer where you normally store files). Otherwise, the .zip file will be unzipped to the same root folder as the original .zip file.